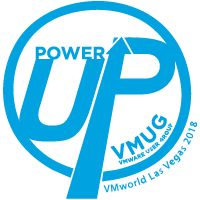 The 2018 VMUG Member Party is a time to celebrate YOU and your commitment and contribution to the VMUG community. We look forward to celebrating with you at the hottest party at VMworld US. VMUG reserves the right to use any photograph/video taken at any event sponsored by VMUG, without the expressed written permission of those included within the photograph/video. VMUG may use the photograph/video in publications or other media material produced, used or contracted by VMUG including but not limited to: brochures, invitations, social media and websites. To ensure the privacy of individuals, images will not be identified using full names or personal identifying information without written approval from the photographed subject, parent or legal guardian.